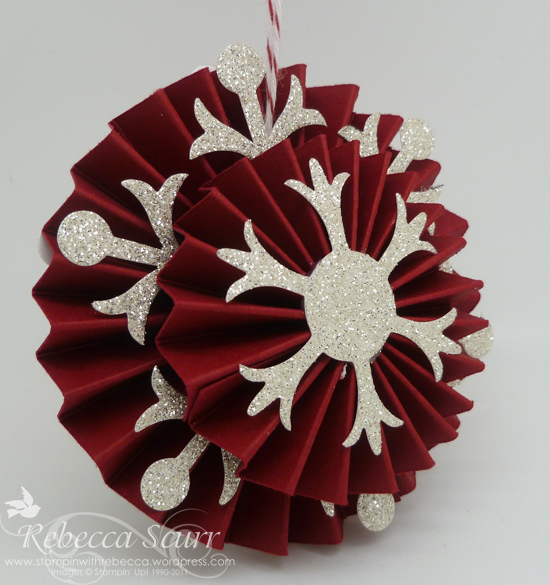 There are so many gorgeous Christmas ornaments at the moment just waiting to be made!! And covered in glitter!! I saw this first one at Stamp with Callena and thought it looked lovely but not too hard to do. 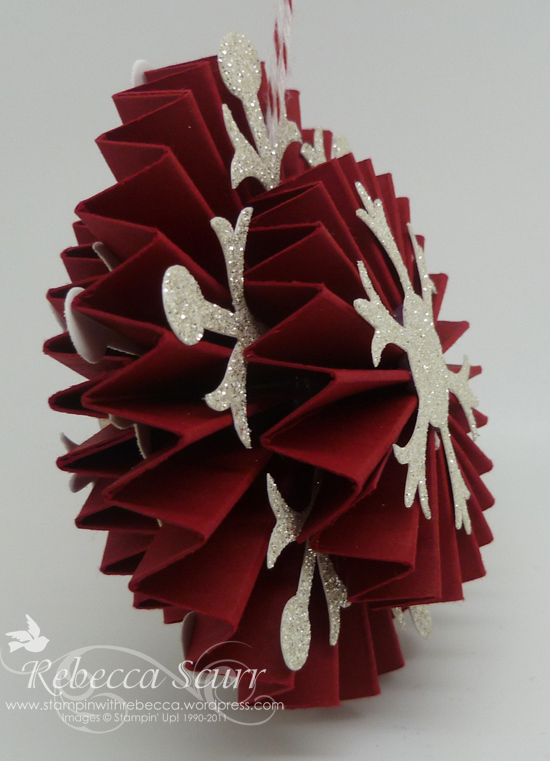 I was so excited to see the Snow Flurry die in the Holiday catalogue as snow flakes are so pretty!! Just because we have a stinking hot summer doesn’t mean that we can’t appreciate snow flakes!! 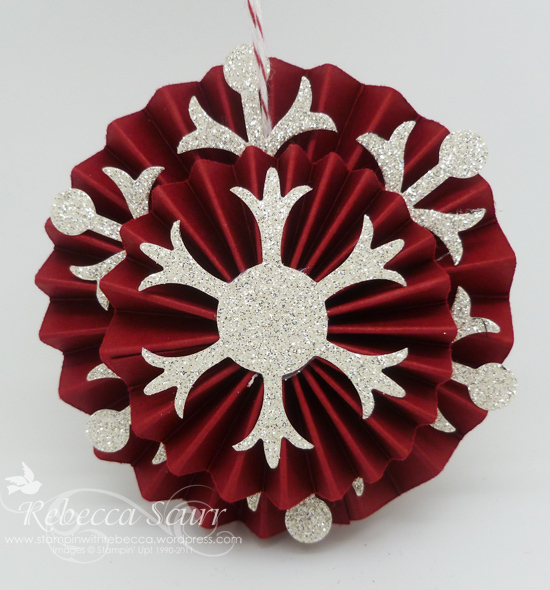 I used my new silicone craft sheet to help make the rosettes whilst I used my hot glue gun. You fold up the strip of scored paper and then put hot glue on one side and press it onto the craft sheet until it has cooled. Then fold the paper into a circle, put a dob more of hot glue to join the two ends and there you have it, a lovely rosette! I think these will definitely be a project for Stamp Club! I think they would look lovely made with DSP as well. Accessories: Simply Scored, Silicone craft sheet, Big Shot, Snow Flurry Die.